HomeAdvisory StoriesInsuranceZero depreciation insurance: Is it a good deal? Until a few years ago, you could buy only one of the two types of insurance policies – traditional and comprehensive. A traditional policy covers the physical damage caused to you and other parties affected during an accident. However, it ignores the damage to your car. Then came the comprehensive insurance policy. This one offers everything that traditional insurance does while also covering damage to your car. But now, you can buy a third type of car insurance called zero depreciation policy. These have become so popular that nowadays most people prefer to buy this type of insurance over any other. Here's why. So what is zero depreciation insurance exactly? 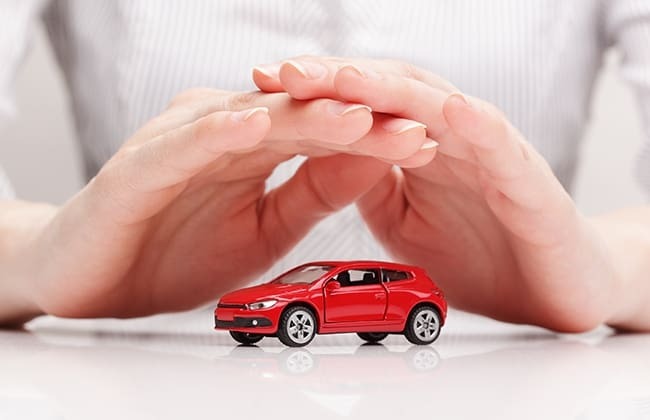 In technical terms, it is a type of insurance that offers complete coverage to your car without factoring in depreciation. In simpler terms, if your car has zero depreciation insurance and it gets damaged in an accident, the insurer will pay you the entire cost of repairs. That's not all! If you purchase add-on covers along with zero depreciation policy – a theft cover, for example – it can provide complete peace of mind. ...Well, not one but a few that you need to be aware of. First, a zero depreciation cover comes with a higher premium than a comprehensive cover. This is because the insurer is taking up a higher risk by offering this cover. Also, you can claim zero depreciation insurance only for a limited number of times after which you will have to pay from your pocket. Insurance companies do this to ensure you do not file a claim for minor issues such as small dents and scratches. Lastly, you cannot buy zero depreciation cover for a car that’s older than five years. So, is zero depreciation insurance a better deal? In many ways, yes, and especially if you have a new car. A zero depreciation policy lets you keep your new car in top shape without having to worry about repair costs. Sure, it costs more but that's the price you'd be paying towards ensuring peace of mind in case of an accident. Sharma ji bought a Swift Diesel (Zdi) on August 1, 2015. A year later at the time of renewal, he gets two quotes: Rs 9,534 for regular comprehensive insurance and Rs 13,584 for zero depreciation cover. Now, in case his car is involved in an accident and the repair cost works out to be Rs 15,000, with a comprehensive insurance policy, he may be asked to pay 40 per cent of the damage repair costs, i.e., Rs 6,000. However, in case of zero depreciation policy, he will not be asked to pay even a single penny, which would make the higher premium totally worth it! In case you are still confused by the various zero depreciation policies on offered, head to CarDekho.com or download the app to compare, select and buy the best zero depreciation insurance policy for your car. And once you have bought the insurance using CarDekho, you can also get in touch with a dedicated, experienced relationship manager to assist you with your claims. Buying insurance from CarDekho also has more benefits in the form of free roadside assistance services. Have any questions related to car insurance. Feel free to ask us in the comments below.